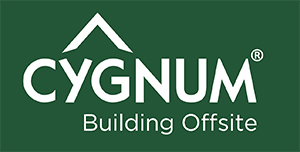 Leading Irish timber frame manufacturer Cygnum is launching a pioneering closed low embodied carbon panelised building system that integrates cellulose insulation. The Precision system has been developed by the company to drive down the costs of a building system that’s becoming increasingly popular due to its thermal performance, healthiness and low environmental impact. Leading Irish timber frame manufacturer Cygnum is launching a pioneering closed low embodied carbon panelised building system that integrates cellulose insulation. The Precision system has been developed by the company to drive down the costs of a building system that’s becoming increasingly popular due to its thermal performance, healthiness and low environmental impact. Desmond said that the timber frame industry has been ramping up efforts to move more building processes off site and into the factory, due to the need for greater quality control to achieve stringent requirements for airtightness and consistency of insulation. Desmond said that the company’s streamlined approach is effectively making a green product even greener, by further cutting the embodied carbon of cellulose – which is already a low embodied CO2 product compared to most other insulants. The company developed Precision as a twin frame system to enable the U-value to be adapted to meet a broad range of low energy specifications. The depth of the twin frame system – which is virtually cold bridge free – can be increased or decreased to offer any U-value required. The company recommends 0.15 W/m2K for passive house buildings. The Precision system won the support of the EU Eco-innovation initiative, a scheme set up to bridge the gap between research and the market for innovative green products, services and processes.